South Africa-based MTN Group has published its financial results for the six months ended 30 June, reporting a 3.1% decrease in revenues to ZAR62.78 billion (USD4.7 billion), down from ZAR64.82 billion in H1 2017, while service revenues also declined by 3.4% year-on-year, to ZAR58.70 billion. The company said that total revenues increased 9.7% annually at constant currency and excluding hyperinflation and tower profits, with service revenues rising 10.2% y-o-y. Consolidated EBITDA stood at ZAR22.34 billion, down 9.9% on an annualised basis from ZAR24.78 billion, while the EBITDA margin decreased by more than two and a half percentage points to 35.6%. Attributable profit also declined, to ZAR4.38 billion in 1H18, down from ZAR5.46 billion reported in the year-ago period. Half-year CAPEX was ZAR11.46 billion, up 20.0% y-o-y, as the group continued to invest in the rollout of networks across its markets. MTN deployed a total of 3,603 3G and 3,660 4G co-located sites during the six months to end-June 2018, resulting ‘in a marked improvement in network quality and capacity across a number of our markets’. 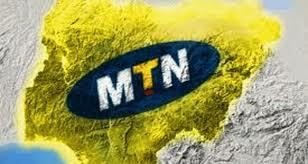 As at 30 June 2018, MTN Group had a total of 223.36 million subscribers, down 3.6% y-o-y. The group reported net additions in Nigeria (two million new subscribers), Rwanda (295,000), Ghana (277,000), and Benin (244,000), while Iran and Cameroon saw net declines of 4.4 million and 2.9 million, respectively.